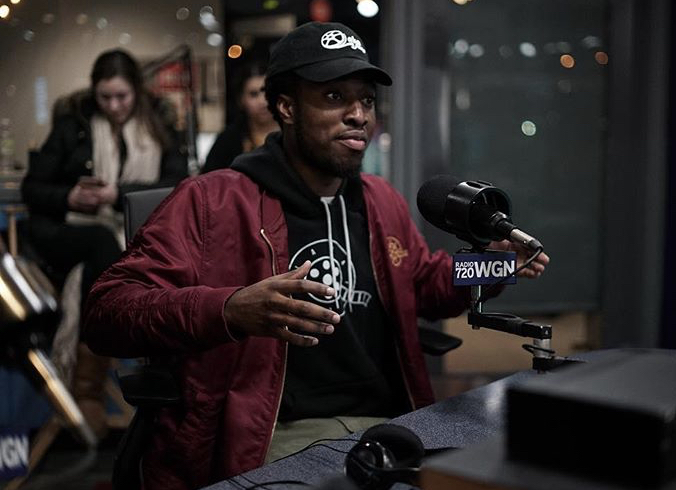 Azeez Alaka grew up on the south side of Chicago, where he became interested in visual arts and creating video content. With a desire to become a YouTube personality, he began filming parody clips and rants, but soon discovered that being behind the camera was his true calling. Alaka starting shooting music videos back in 2012, as his main focus was breaking into the entertainment industry through his video production. In 2014, Laka Films was founded and Alaka quickly established himself as an industry leader, known for his “Run-and-Gun” style among local Chicago-based artists. Laka Entertainment, a partner company, was also founded. His talents were eventually recognized on a national level, resulting in many projects, directing for top Billboard artists and top record labels. Today, he is a well-respected music industry veteran in both video production and A&R work. Here is how he leveraged YouTube to get to where he is today. Through Laka Films and Laka Entertainment, Alaka was able to create a media empire that focused specifically on the hip hop industry, producing videos and publishing blog content, all hosted on their own platform. All of this wouldn’t have been possible without building a solid foundation consisting of quality work and a strong reputation as the best production company, which all started in the early Chicago days. In the music industry, your reputation is everything, and Alaka focused on building a strong foundation, which allowed him to scale his business to new heights, working with top talent all over the world. The initial foundation has also allowed Alaka to venture into additional segments of the entertainment industry, recently launching a talent acquisition arm focused on grooming local talent and launching their careers into the mainstream spotlight. Alaka’s goal is to be able to help give talent a platform to be seen and heard, and this will be possible now because he has a foundation that will support future growth and opportunities. Alaka has built up a YouTube following of more than 500,00 and has worked with some of the most iconic artists in the industry. This includes Famous Dex, Trippie Redd, G Herbo, Ski Mask the Slump God, Soulja Boy, Lil Durk, JuiceWrld, NBA Youngboy, Supreme Patty, Sauce Walka, Montana of 300, Jay Da Youngan, Trill Sammy, 03 Greedo, Steven Cannon, D Savage, Yung Bans and King Von and NLE Choppa. That’s quite an impressive line-up, but Alaka’s skills extend beyond the camera. He was responsible for blowing up Famous Dex, whom he completely re-branded from Black Migo Dex. This is when his A&R capacity was identified. Alaka was more than just a video director, spending time in the studio with the talent, traveling with the artists and being a constant face in their daily lives. Side-hustles like social media management is just an example of what he was willing to do to help the talent excel. Top music executives soon realized how much of an impact Alaka had, when labels couldn’t get in touch with Famous Dex. It was through Alaka that Famous Dex was signed, further emphasizing how much had been accomplished in a short period of time. 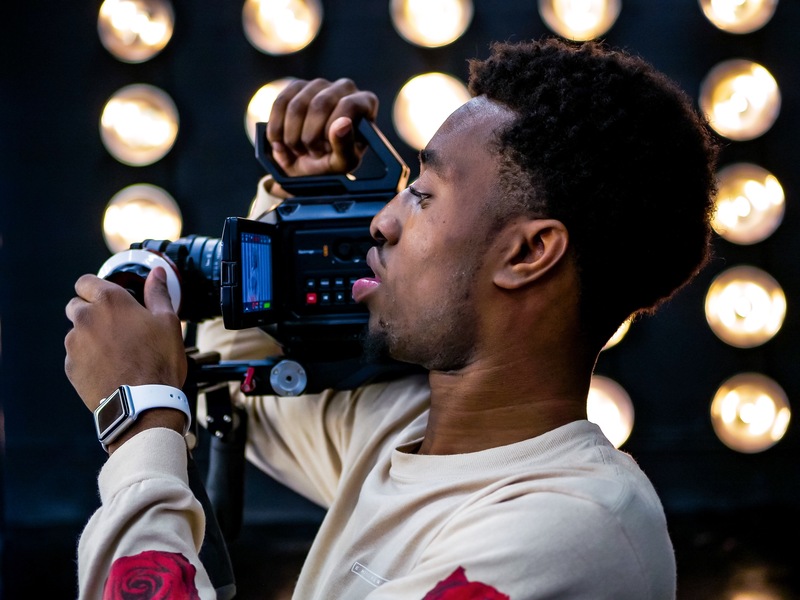 The grind never slows down in the music industry, and Alaka is more than just a music video director, requiring him to be on the move nonstop. From running multiple full-time companies to having a team of employees depending on his direction, there is always something to do. From filming, to editing and location scouting, there is very little downtime. In the music industry you are only as good as your last hit, so in addition to focus on creating top charting videos, there is a non-stop hustle in terms of discovering talent. Eventually stars burn out and fade away, so there is always a need for the ‘next best thing” and a lot of time is spent looking to discover talent before someone else signs them. This hustle mentality has helped Alaka thrive in several different areas of the industry. It’s very hard to get top artist to work with you if you aren’t established in the industry. They are putting their name and brand on the line and in the hand of the teams they work with. This required Alaka to invest in himself early on, often working for free just to get his work out there. Then the editing and follow up work was all free as well. Time as well as money was invested in launching his career and it was money and time well spent as it helped him build a name and then attract paid gigs. Even when the money started to roll in Alaka did not let up on his self-investment plan, often times putting his own money into locations, models, props, cars, etc. — anything that would enhance his videos. Alaka invested his money into independent artists the same way major labels invested into their talent and it has paid off, helping to elevate his own name and brand in the industry. Alaka has his roots firmly planted in Chicago. There isn’t an artist that has come out of Chicago in the past several years that he hasn’t worked with. From working with Juice WRLD before his viral fame, and an unreleased video set to debut, to working with Olo G before he hit a million views, being a connector in the local scene has helped in many ways. You need to fully understand your market and industry, and build relationships. The music industry is small, and your name and reputation is everything. Connecting and giving unselfishly will often come back full-circle.